Over the past year our art scene has seen significant growth both in talent and exhibitions, so much that it's now required more display space than we have available (or in some cases, willingness to lend space). We've seen new addition such as Stone Wall Gallery and Blonde Grizzly to the mix, as well as independent places like Copper Palate lend their walls to the expanding plethora of artwork people are churning out. And as with any surplus there are just some who get left out of the mix because it doesn't fit into a traditional sense. But lucky for us we recently got a gallery who took over that charge immediately. --- Stolen & Escaped started up this summer, taking over the space below Frosty Darling where Boku Massage once resided, and turning two rooms into a safe haven for work just a few steps beyond experimental. Conceived by photographer Amanda Hurtado as a place to collaborate with other artists, the two room display has garnered massive attention from the community in its short time, even earning an Arty immediately off the bat for its particular selections. Today we chat with Amanda about the gallery and her work, plus thoughts on the local art scene. All along with pictures of the place from their last display. Gavin: Hey Amanda, first off, tell us a bit about yourself. Amanda: My name is Amanda Hurtado, I’m a photographer, and I own the Stolen & Escaped gallery downstairs at Frosty Darling located at 177 East Broadway. Gavin: How did you first take an interest in art, and more specifically localized art? Amanda: I’ve always loved making art and as a local artist myself, I can’t help but be interested in what’s going on with the local art scene. Gavin: Prior to the gallery you were a part of the Salt City Derby Girls. How was your time playing in the league, and what eventually led you to retirement? Amanda: I loved playing roller derby with SCDG. I retired after a knee injury. Recently, I started a recreational roller derby league with a former team mate of mine, England’s Glory. We are called the Red Rockettes and we are the perfect place to start for ladies who are interested in playing roller derby but have no previous experience. There are no tryouts to pass and all skill levels are welcome. We practice once a week at the Wasatch Roller Girls warehouse. To find out more, email me at redrockettes@rocketmail.com. Gavin: On the side you've also had projects like the Cine-Dips blog. Where did that project come from, and what others have you done over the years? Amanda: Cine-Dips is a monthly film club with matching dips and drinks. My husband and I came up with the idea based on our shared love of cinema and party dips. The blog has been somewhat neglected lately... mostly because we don't want to make the whole internet jealous of how much dip we're eating... but the Cine-Dips fun rages on. Gavin: How did the idea to start up an art gallery come about, and where did you get the name Stolen & Escaped from? Amanda: I’ve dreamed of starting a gallery for years. It just seemed like an ideal way to be involved with the local art scene and collaborate with other artists. The name Stolen & Escaped is a translation of my last name. My dad is from Peru but the name Hurtado originated in Spain in the 1500's as a surname for a person who was kidnapped, imprisoned or known as the escaped one. Gavin: What was it like for you planning it and what made you decide on the space below Frosty Darling? Amanda: I'm still planning things little by little every day. Running an art gallery is not something I have ever done before and I'm learning as I go. The space below Frosty Darling was sort of a miracle find. I had been seriously looking for a space for about a year without success and then one day my husband Matt picked me up from work and drove me to Frosty Darling and showed me the space. I thought it was ideal but I just couldn't believe no one else had beaten us to it. The next day Gentry gave us the keys. After dreaming about it for so long and thinking that it might never happen, I suddenly had the keys in my hand. It was bizarre. It was like five minutes ago I was not a gallery and then suddenly I was. Gavin: What was it like for you first setting up the place, and were things difficult or go pretty smooth? Amanda: Setting things up was extremely easy. The space was a ready-made gallery with four blank white walls and a lovely dark-stained concrete floor. The most difficult part about it is that I work a full-time job and can't spend as much time and energy as I would like at the Gallery. As a result, my hours are mostly by appointment only although the space is technically open during Frosty Darling's regular hours: Tuesday to Saturday, Noon-6PM. Gavin: The first show you did was back in July, the “My Awesome Art Show” display. What was the public reaction like to that showcase, as well as Frosty Darling and Kayo? Amanda: Few people know this but the first show was actually in May. It was sort of an ice breaker show and featured eight of my photos and a video installation by my husband Matt. The Gallery's grand opening, in June, was a solo show of paintings and drawings by Danielle Marriott. The "My Awesome Art Show" in July was the third show and I think it was the audience favorite so far. It was a group show with drawings and Road Kill Peanuts by seven year-old Kin Blandford, Scooter-part robots by Dave Hurtado, paintings of animals attacking humans by Kelly Petersen, and a Dungeons & Dragons cartoon video installation by Tyrone Davies. Gentry Blackburn of Frosty Darling and Shilo Jackson of Kayo Gallery have been extremely supportive and helpful to me from the beginning. I feel extremely lucky to be in such an ideal location. Gavin: What's the process like for you in deciding who to display every month in both rooms? Amanda: In the first few months I relied heavily on the talents of my friends and family. Recently I have been receiving more submissions from artists beyond my friend and family group. The gallery is actually just the one main room. The back room is the office and doubles as a reception area for the artist on Gallery Stroll nights. I have a variety of pieces from previous shows that have accumulated on the office walls and people are welcome to step inside and browse around. but if they're Gallery Stroll regulars, they may not see anything new back there. Gavin: What other plans do you have in store for the gallery over the coming months? Amanda: The November show will be a group video art installation featuring Matt Black and Alex Haworth. In addition, I recently started participating in the Foster Art program so I will be showing the art I'm currently fostering, three amazing pieces by Matthew Choberka. Amanda: The local art scene is growing all the time. Gallery Stroll nights at Kayo and Frosty Darling are always packed. The downside is that people aren’t buying much. Gavin: Speaking of, what's your take on Gallery Stroll as a whole and how its doing today? Amanda: Gallery Stroll seems to be thriving. I think people feel less intimidated about browsing galleries full of art when they’re in large groups like on gallery stroll nights. I think overall Gallery Stroll is a very positive thing for the Salt Lake art scene. 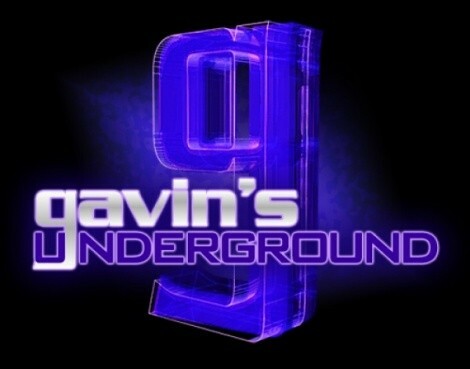 Gavin: What can we expect from both you and the gallery the rest of the year and going into next? Amanda: People can expect to see some film and photography installations coming up as well as a solo show with local artist Myranda Bair. Artists interested in submitting work for consideration should email me at stolenandescaped@gmail.com. Amanda: Aside from Frosty Darling, Kayo Gallery and the Red Rockettes, I’d like to plug my husband’s business, Matt Black Creative, and the feature film he is currently working on. The film is called "Peloton", directed by John Lawrence, and it is a story about amateur bicycle racing. The entire film was shot here in Utah. Look for it coming soon in a theater near you.